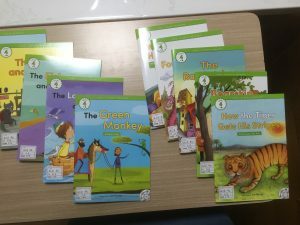 A couple of weeks ago we received most of a set of Kids’ Classic Readers, a new series by e-Future edited by Rob Waring. I had high expectations for the series, and these were mostly met. 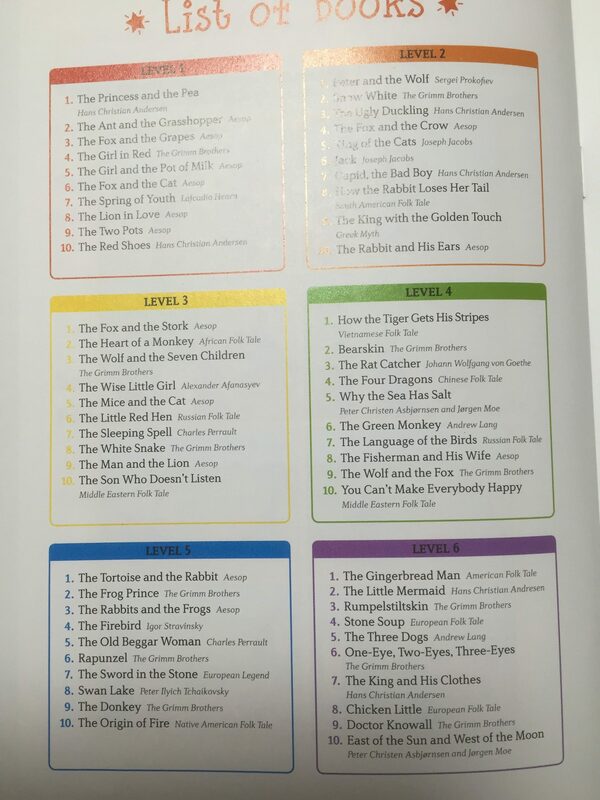 Kids’ Classic Readers consist of 60 books over six levels, from YL0.2-0.5. As the series name implies, the content is classic tales from around the world. And this is my main (only?) criticism of the series. As you can see in the list above (click on the image to make it bigger), most of the titles are fairly original. 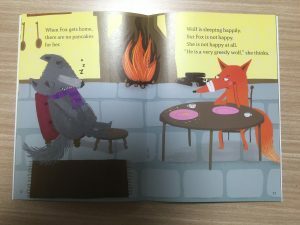 My personal favourite this time round was The Wolf and the Fox (level 4). However, there are about ten titles in there that I wasn’t happy to see. Stories like The Gingerbread Man, or The Tortoise and the Rabbit. Stories that have been done to death. We already have about five versions of the Gingerbread Man, so I would hope that publishers would look beyond the obvious classics when bringing out new series. Kids’ Classic Readers goes a long way towards using new stories, but fails to do it completely. Apart from this, I really like the series and think it’s a good fit for our program. So what is in the books? 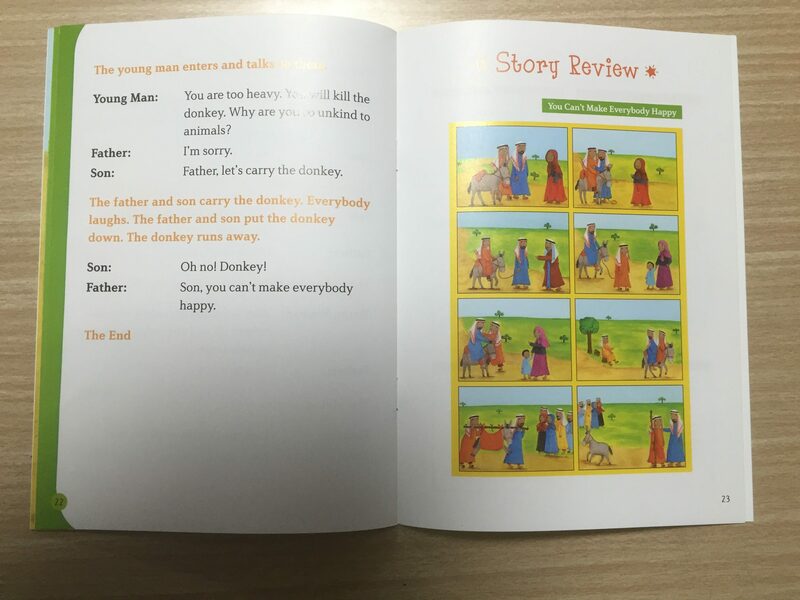 Visual review of the story (on the right). Could be used for preview or review activities? 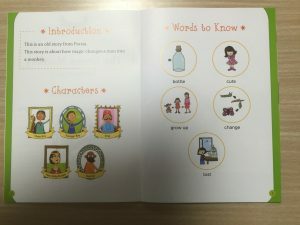 We’re just going to be using Kids’ Classic Readers as part of our extensive reading library, but I can see how they would be very versatile as part of a four-skills kids’ class or even in a speaking focused class. A nice addition to our collection. I’m really happy to post finalists of the ER Foundation LLL Awards for this year. Lots of interesting looking books. I already wrote about Vera the Alien Hunter, and I’m looking forward to checking out the Malala biography very much. I am slightly disappointed by the large number of rewrites of classic books. I don’t understand why publishers churn out version after version of Tom Sawyer, the Happy Prince, etc. I guess it’s cheaper than writing new content, but two-thirds of the finalists in the higher categories are rewrites this year. I will be voting for original stories over rewrites, and also take this into account when buying books. You can see all the finalists on this PDF flyer: ERF_2016_Flyer_Final, and the judges comments are here: finalists 2016 with comments. See anything you like the look of? On April 1st this year the language school I help out at started a new section called Cambridge Academy. Getting ready for this and implementing it over the last four weeks has been a really fun challenge, and now that we are taking a little break for the Golden Week holidays I feel like I have some lessons to share. In this post I will talk about what we are doing, why we decided to start a new sections, and a few problems and successes we have had. Why start a new school? Several reasons. The main one is that we weren’t happy with our existing junior and senior high school classes. It seemed that while the most able and motivated students could do very well, others did not. We gave students many chances to do work outside of class, and the ones that did got better and the ones that didn’t, didn’t. We were looking for a way to improve that. I was also able to visit SEG in Tokyo, and see their incredible resources and program. This inspired me to start something similar in Sendai, and we have benefited hugely from using Akio Furukawa’s experiences and advice in setting up the program. Finally, the academy format and the results we are hoping for seem to be quite commercially viable. While my main motivation with the school is to provide students with excellent education, it’s nice if the school pays for itself too. There are two main concepts behind the Cambridge Academy. 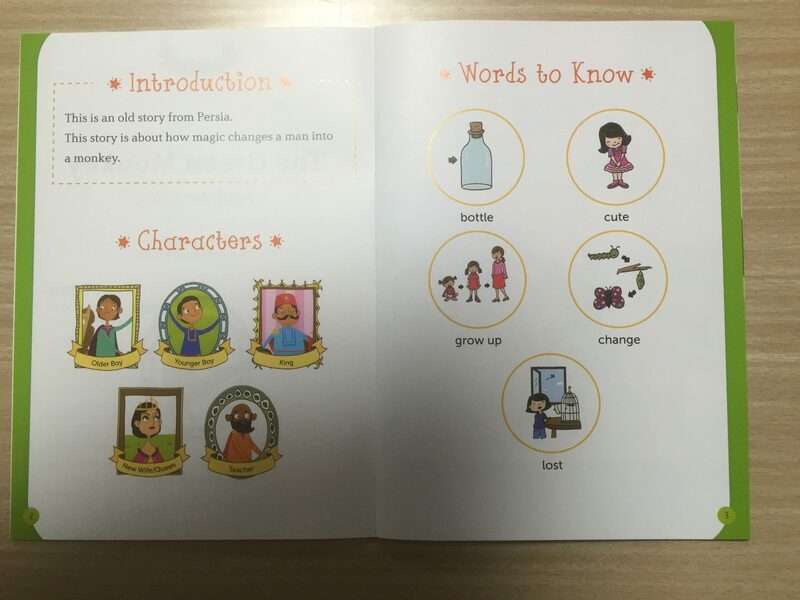 The first is to provide students with the chance to receive large amounts of comprehensible input through graded and leveled readers, alongside speaking and writing activities. 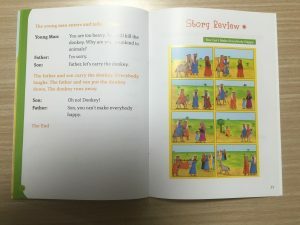 Initially the input was based mainly on books but we quickly realised the power of reading with CDs so we have since changed this to books with CDs. The second concept is to do 55 minutes of reading/listening in the school each week. This ensures that all students will receive at least 40 hours of reading/listening per year, or 200 hours over the course of the five years we envision the ideal program lasting (JHS 1st grade to SHS 2nd grade). Of course, motivated and ambitious students will do much more at home, but with the in-class reading system ensures that all students will make some progress. 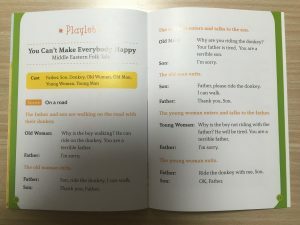 The students will also have a speaking class with a focus on production, a writing assignment each week, and the chance to do online vocabulary study with Word Engine. At first the main stumbling block was space: we needed an extra classroom that could house the books and other resources as well as accommodate twelve students. Luckily the apartment above the school became available in March, so we quickly rented it and set it up for school use. As the Academy classes are pretty much silent, we shouldn’t have any problems with the neighbours or the landlord. Next was gathering resources. 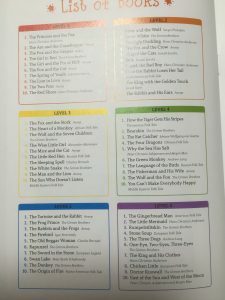 We already had a large graded and leveled reader collection built up over the last twelve years or so, but it wasn’t enough to serve the fifty or so students who started in April, let alone the numbers we would like to see eventually. 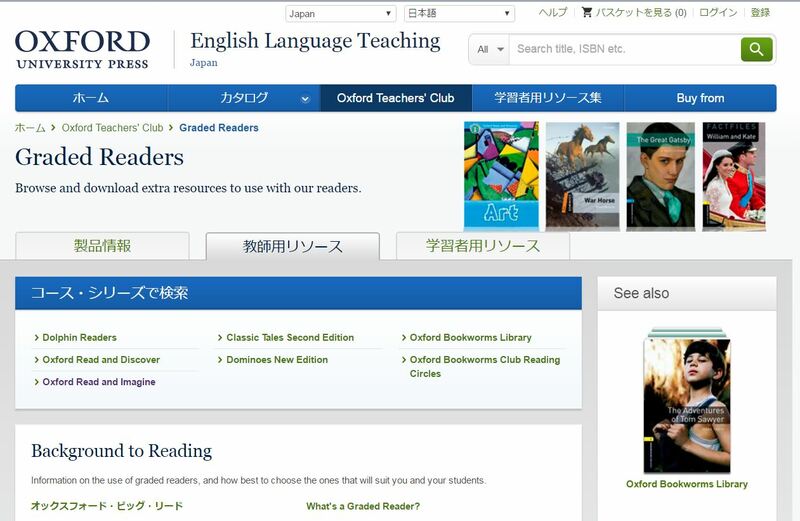 After several large orders to englishbooks.jp and Amazon, we are still playing catchup and will probably continue buying books throughout the year (this matches my experience at Tohoku University, where book resources never quite seem to meet student demand). Main bookshelves at the Academy. The next step was to develop a system to determine what students would do, how we would track it, and how to organise resources. Here we benefited immensely by being able to copy a lot of what SEG does. 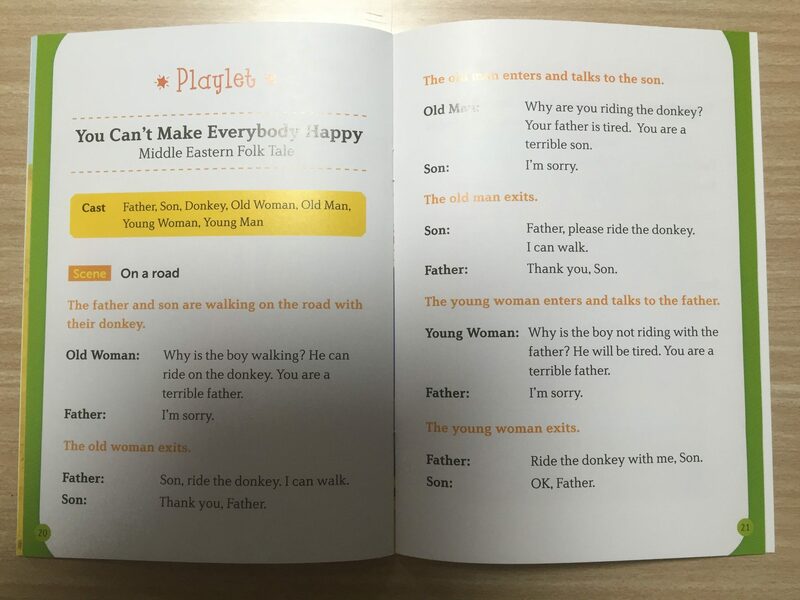 The interesting thing is that we found ourselves adopting elements of the SEG system that didn’t make sense to me at first (like having books organised in sets with CDs, and having students read while listening). 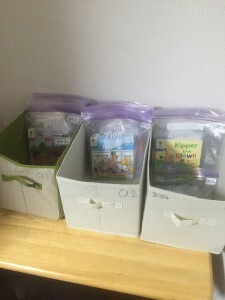 Book sets organised using ziplock freezer bags. 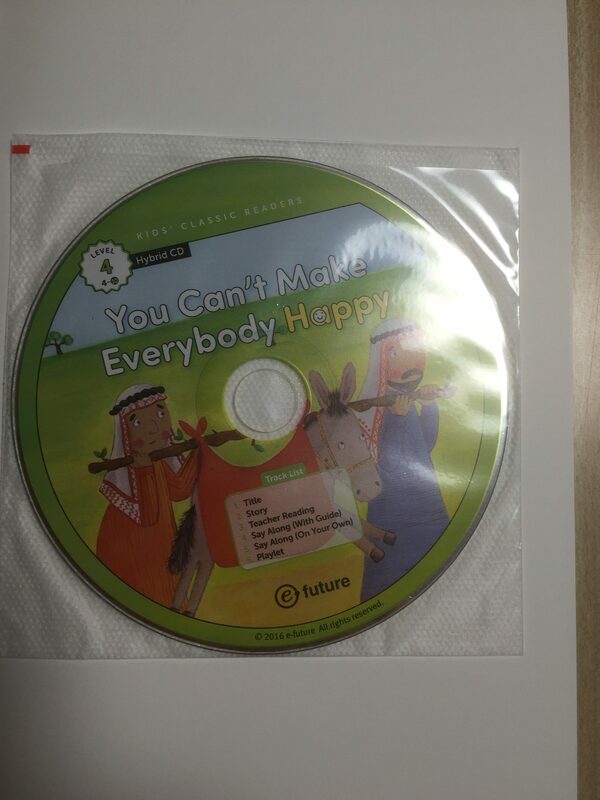 We had a couple of CD players when we started classes, but after I saw how much the students enjoyed listening as they read I quickly bought ten more so that we could offer a player to each student. Personal CD players can be found on Amazon.jp for between 1500 and about 5000 yen. There seem to be limited numbers as these products are no longer popular. We have also failed to find CD players that can play MP3 CDs for a reasonable price (there is a Sony model that costs about 25,000 yen, but this seems a bit too high to me). An ongoing project. We have also noticed the need to keep track of what each student has read so that we can give them new books in a timely way. 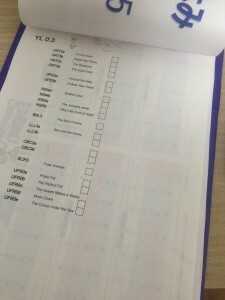 Right now the best solution appears to be a checksheet that we will put in each students file so that we have a record of that they have read. This is also a work in progress but it is going quite well. Checksheet to track student reading. The first four weeks have been great. Students seem to enjoy the format and even the students who don’t seem to enjoy English classes do the reading activities willingly. About half of the students do homework, the others do not. My policy here is to encourage and support, but leave it up to each student as to how much they want to do. From a business perspective the profit per student in the Academy system is higher than other classes. 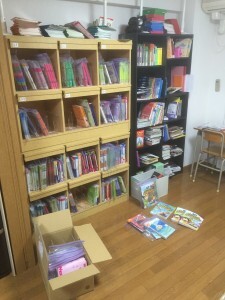 We charge 15,000 yen a month plus tax for 44 two-hour classes a year, so I think this is a good value for students too (they would have to pay more than that each month just to buy the books they end up reading). 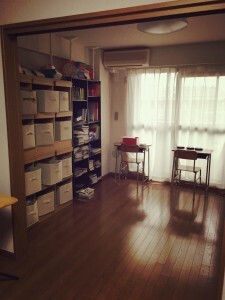 The specialized knowledge required to set up the system, and the cost of books and other equipment (we’ve spent over a million yen setting up the Academy, and we already had thousands of books) means that it would be difficult for other schools to copy our classes if we are successful. Most of all, it is wonderful to see the students enjoying their studies, and achieving success each week. The Academy style classes also work very well with students who have social issues. For a teacher, it’s a very fun class to run and I hope our students will find themselves doing better at school. Well, we’ll continue developing the system and trying to improve it. I suspect motivation may become a problem for some students once the novelty wears off, but I haven’t seen this so far. Hopefully the combination of success and the contrast between an hour of reading/listening and the rest of their busy day will help stave this off. Business-wise I would like to see the Academy grow in size, and if it gets big enough I would like to move it to a new location in the city centre to increase our catchment area. Ideally this would happen in the next year or two. So far I am very pleased with how things are going. I’ll post an update in September or so and let you know how we are doing. Please feel free to ask any questions in the comments.